THE SUNFLOWER MOVEMENT began on March 18th, 2014, one year ago today. One year after the fact, for those of us who concern ourselves with Taiwan’s future, the verdict is clear: the Sunflower Movement made history. And now, the Sunflower Movement has passed into history. 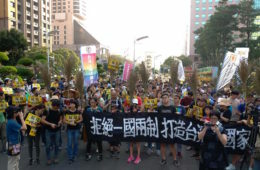 The Sunflower Movement will take its place alongside past struggles in the long journey of Taiwanese democracy as the Wild Lily Movement of 1990 and the Kaohsiung Incident of 1979. Less clear is what, in history, we will be able to point to as the concrete effects of the movement. In truth, it is still too early to tell. But we can examine the past year’s events as we can root them in the Sunflower Movement. 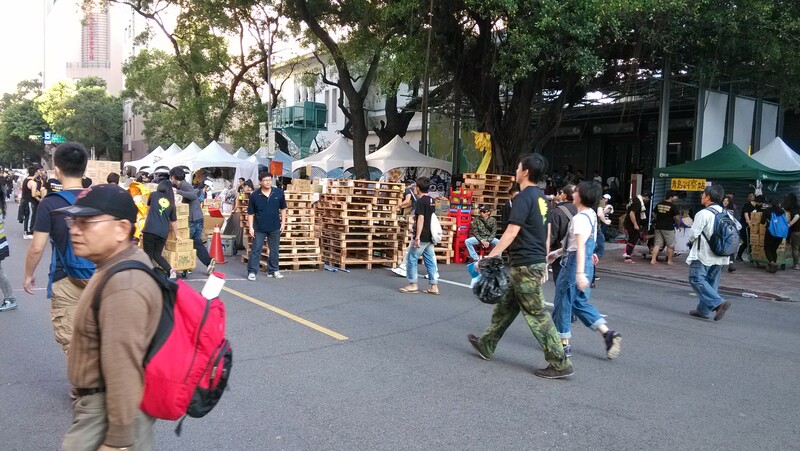 THE LEGISLATIVE YUAN occupation was largely a spontaneous event, but developed out of a planned protest during the night of March 18th against the CSSTA trade bill which unexpectedly developed into students and others charging into the Legislative Yuan and occupying it. The occupation itself would last for 23 days but few occupiers, if any, expected the occupation to last for close to a month. When occupiers sought to inveigh upon Ma Ying-Jeou presidential administration to meet with them and listen to their demands, the refusals of the Ma administration to even acknowledge the students led to an impasse. It was feared that the movement, if it was unable to make demands of government, would eventually disintegrate. 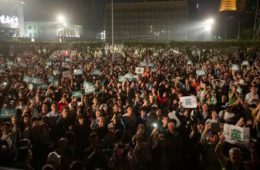 In the aftermath of “324,” a controversial failed attempt by several hundred students to seize Taiwan’s executive branch of government, the Executive Yuan in order to break the impasse with government, student occupation leaders declared a large-scale protest to occur in Taipei on March 30th. 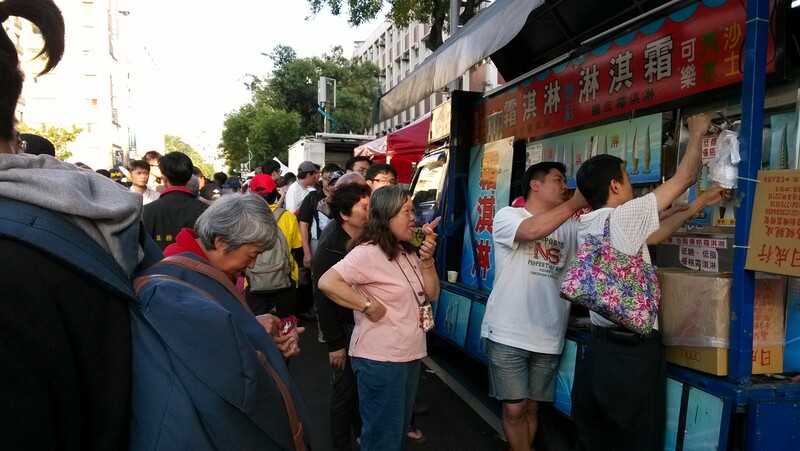 On what became known as “330,” 500,000 people—some five percent of the Taiwanese population—took the streets of Taipei for an afternoon. 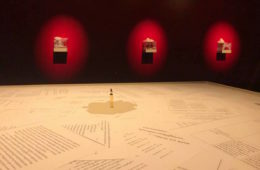 What is most remarkable was that the protest was declared by the student occupiers within the Legislative Yuan no more than three days beforehand, but the event came together and went largely without incident nonetheless. 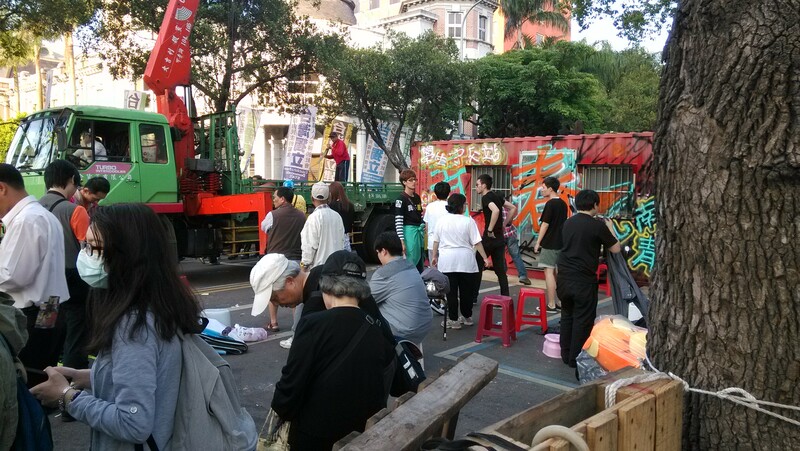 Students later vacated the Legislative Yuan on April 10th, after declaring plans to do so on April 7th. Once outside, were hailed by members of the Taiwanese public as heroes. 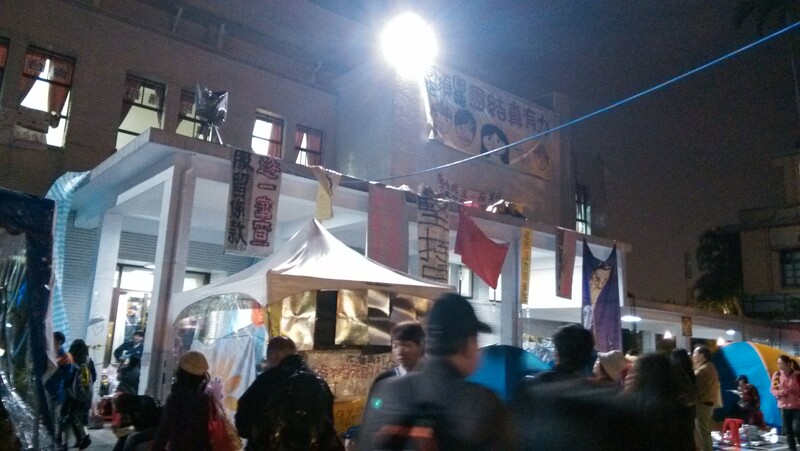 This marked the end of the Sunflower Movement proper, if we are to determine the length of the movement by the amount of time that students were occupying the Legislative Yuan. 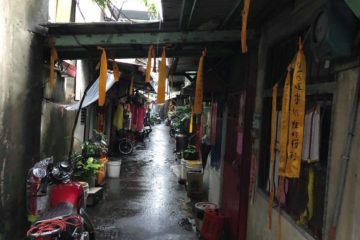 But coextensive with the Sunflower Movement was the hunger strike of former DPP chairman and Lin Yi-Hsiung. Lin’s hunger strike began on April 22nd and lasted for eight days. As a result of a Taiwanese public that was galvanized to action for fear that Lin, a political martyr whose family was killed by the KMT, might die, 50,000 occupied major thoroughfare Zhongxiao West Road in Taipei for an afternoon. Those who refused to leave later at night were later driven out using water cannons in another major incident of police violence. IN THE PRESENT we can point to the significant effects of the Sunflower Movement upon Taiwanese electoral politics. 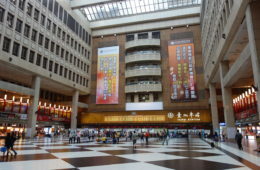 Most immediately evident would the victory of independent candidate Ko Wen-Je in nine-in-one elections. 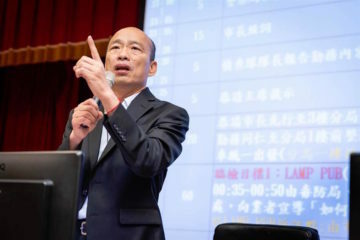 Ko, the head of the Department of Traumatology at National Taiwan University Hospital, ran as an independent candidate rather than a candidate of the DPP, and attained victory largely with the support of Taiwanese civil society. In part, this marks a coming of age for Taiwanese civil society in regards to its ability to directly influence electoral politics. Ko won the support of Taiwanese civil society for taking on a number of popular stances broadly advocated by the consensus of Taiwanese civil society and through his status as a political outsider not a member of any political machine. After the Sunflower Movement and, specifically, after the example set by the Ko administration, we saw the formation of political parties and the entrance of candidates without previous political experience, but longtime backgrounds in activism enter into electoral politics. Sunflower Movement student leader Chen Wei-Ting announced a run for Miaoli legislator, for example, before later withdrawing because of the scandal created by past incidents of sexual harassment on his part. Chinese Tiananmen Square former student leader Wuerkaixi, a resident of Taiwan for the last eighteen years, also announced a run for legislator of Miaoli during this time before later withdrawing. And in the present, we see the development of Left-wing third parties as the New Power Party, the Social Democratic Party, and Tsay Ting-Kuei’s new pro-Taiwanese independence party. 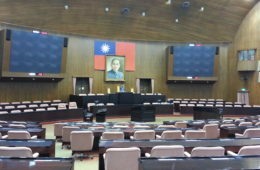 With the entrance of Taiwanese civil society into electoral politics established political actors in the pan-Green camp have had to take heed of their new need to win over civil society as a constituency whose support is crucial for victory. 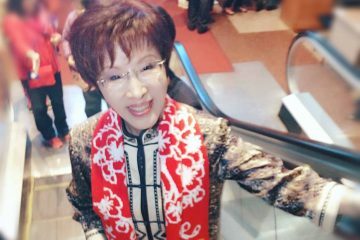 DPP politicians, for example, particularly presidential frontrunner Tsai Ing-Wen, have suggested a willingness to work with new third parties. For their part, the New Power Party has at least verbally expressed a willingness to work with the DPP, while simultaneously making moves aimed at establishing a “third force” outside of the DPP that includes smaller parties as it and the Social Democratic Party. 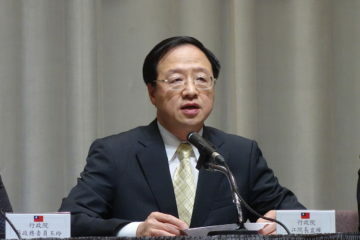 Based on Tsay Ting-Kuei’s past statements, it seems unlikely that his party will seek to dissolve ties altogether with the DPP but try to push it further towards the political platform of Taiwanese independence by acting on it from outside. 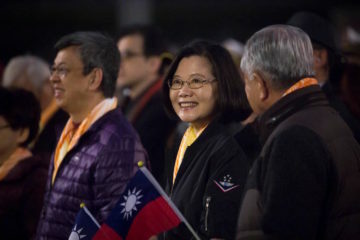 Even the KMT is now quite aware of the substantial gap between itself and Taiwan’s young, though where it has thus far scrambled to find ways to modernize itself, these have only served to draw out the underlying factional tensions that already existed within it. But while we can very directly point towards the effects of the Sunflower Movement in electoral politics, what is less clear is what the influence of the Sunflower Movement regarding cross-strait relations will be and what China’s response to the Sunflower Movement has been. China’s responses have been contradictory, on the one hand, backing away from continuing to strong-arm the CSSTA trade bill after having noted strong resistance to the bill among the Taiwanese public, but continuing strong rhetoric and threats against advocates of Taiwanese independence. 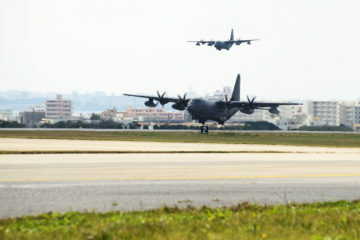 If, for example, we have a DPP victory in 2016 as seems very likely, it is unclear whether China will accommodate itself to the DPP—and China has in the past made some suggestions that it would be willing to accept DPP rule of Taiwan, not to mention some DPP politicians have sought to build friendlier relations with China. Or it may be, as in the past, China will react vehemently against the DPP and its perceived Taiwanese separatism. 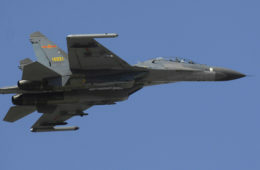 It remains for China to clarify its stances in the present. And within Taiwan, we also find contradictory responses in the KMT, where Ma Ying-Jeou still continues to try and push for the passage of free trade agreements with China. 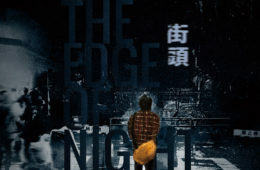 “Deep blue” elements bent on the unification of Taiwan and China still exist and remain a substantial force within the KMT that KMT politicians need win over as a political constituency if they are to succeed in electoral campaigns. 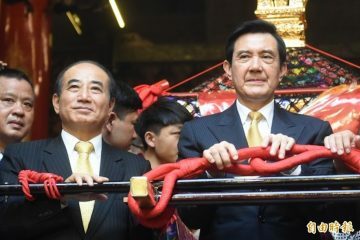 The internal factionalism within the KMT is visible now more than ever but the party exhibits no sign of either successfully modernizing or dissolving altogether, as some had wishfully suggested it might. WHAT THE SUNFLOWER MOVEMENT represented for Taiwan was the promise of a better tomorrow, as represented by the young people who seized the attention of the Taiwanese public for the first time. Where previously, there had been talk of an indifferent, apathetic “Strawberry Generation”, the Sunflower Movement shattered such stereotypes where it revealed Taiwan’s young to be idealistic, motivated, and willing to fight for what they believed to be right. 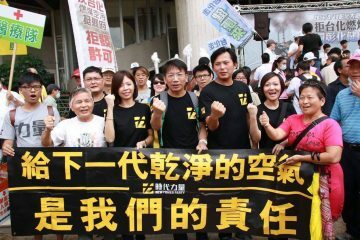 Where some commentators have pointed towards the entrance of civil society into electoral politics as the major accomplishment of the Sunflower Movement, particularly around Chen Wei-Ting’s brief run for Miaoli legislator. But it would, in fact, be a shame if the end-all-be-all of the Sunflower Movement was merely to mark the appearance of a next generation of politicians on the Taiwanese political stage. Rather, it was the idealism of the Sunflower Movement which marks real hope for Taiwan where it represents the coming of age of a certain generation and their determination to grasp their new future. 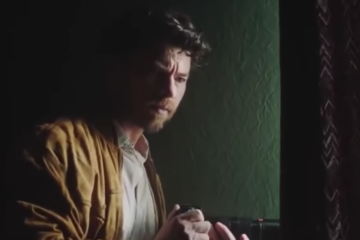 Yet in looking back upon the past year’s of activity, we might take a more critical stance. Namely, while the Sunflower Movement has become celebrated in the present, during the movement itself, student activists had to weather a storm of public criticism. Nowhere was this more evident in the responses to the students that were beaten by police on 324 and a public response which immediately sided with the police rather than with the students. The initial student occupation on 318 did not suffer the moral taint that 324 did, because it was viewed as a spontaneous act where 324 was clearly premeditated. But even then, one is struck by how much could have gone wrong and the puritanical nature of discourse surrounding the students. We can might raise several examples. 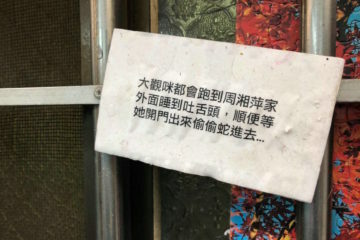 In the media, for example, students were criticized as hooligans for breaking a window of the Legislative Yuan in an attempt to pass supplies back and forth between the inside of the Legislative Yuan and the outside of the Legislative Yuan. As a result, instead, supplies were precariously ferried by way of ladder onto the roof. Every time I stood in the Legislative Yuan courtyard and watched this, I wondered, “What if somebody falls and breaks their neck?” I wondered then, what does the breaking of a window matter when Taiwanese democracy itself is what is threatened? Never mind the actual safety of the students. 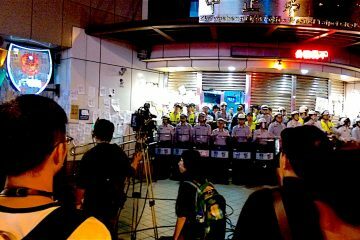 Likewise, on the first night of the occupation, when a member of the riot police on site had an asthma attack and had to be carried out of the Legislative Yuan, what if this had led to public backlash against the students for “injuring” a police officer? Attempts to play up police injuries as apparently inflected upon them by students were made by those attempting to discredit the movement. If that narrative had taken off as I think it would not have been impossible, one wonders if public support for the movement would have been as strong as it was. Just as the public came to idealize students and their “pure” role in society, at other times students are dismissed out of hand as troublemakers disruptive of the public order. I think it very well could have happened. It is true that there were also a number of internal disagreements among students themselves. 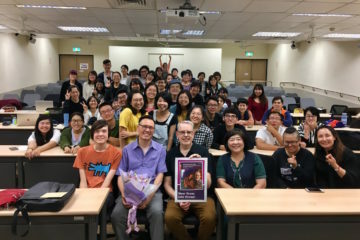 Some students were opposed only to the KMT’s undemocratic measures in passing the CSSTA trade bill but not the trade bill itself, still others, coming from a more Left-wing perspective, were opposed to free trade altogether. 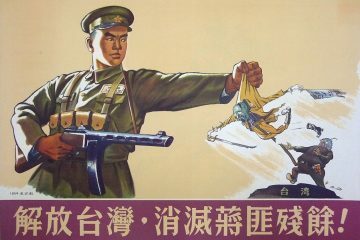 No consensus was ever reached between the different ideologies that coexisted within the Sunflower Movement, though there were splits regarding more radical elements that saw the leaders of the student occupation in the Legislative Yuan as too bent on keeping up a “clean” public image, opposed their centralization of authority, and criticized their closeting of their own Left-leaning political positions. In retrospect, for example, the protest on March 30th could have very well become a revolutionary situation, where 500,000 people were gathered in Taipei and, if they had refused to leave, almost certainly riot police would have been deployed against them. But the organizers of 330 were more interested in orderly withdrawal and, for the most part, the demonstration neatly dissipated by early evening even without having secured any demands from the government through such a show of force. 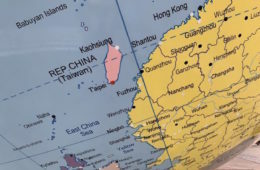 And where the Sunflower Movement has very clearly not succeeded, it has been in that Taiwan’s international exposure remains as obscure as ever. The Umbrella Movement some months later, for example, attracted the attention of the world in a way that the Sunflower Movement never did, even as it was about a similar issue regarding Chinese encroachment upon Hong Kong’s territorial sovereignty. But, in looking back at a movement, we can always point at its failures, its shortcomings, and the contingencies that led up to it. What matters in the present is that the Sunflower Movement could happen in Taiwan and that it did happen, that Taiwan’s young stood up and made their voices heard. And, going forward, what matter is how Taiwan’s young will make their voices heard in the future. We cannot predict when the next instantiation of something as the Sunflower Movement will be. It could happen today, it could happen tomorrow, it could happen ten years from now. But when that moment comes, what matters it to be ready for it, and to recognize its significance. We knew the significance of the Sunflower Movement for Taiwan and the world when it broke out on March 18th of last year, and it has transformed all of us up to the present. Now, more than ever, we know the historical significance of the Sunflower Movement. But what matters if we are to truly take grasp of the changes the Sunflower Movement began is to continue the struggle and to be ready for and attentive to the next time an event as explosive as it makes itself felt.